We all live in Colorado for certain reasons. Some of us are here for the outdoor recreational activities, some of us are here because our families raised us here, and others like me are here because we enjoy a true four-season climate. Don't get me wrong, no disrespect intended towards my home state of Texas, but hot enough to fry an egg on the sidewalk in the summer and cold enough to refreeze your decoys back in the ice you just busted up in the winter are not seasons in my mind. As we approach the end of 2017, our Colorado RLI Chapter too comes to a season where change is amongst us. 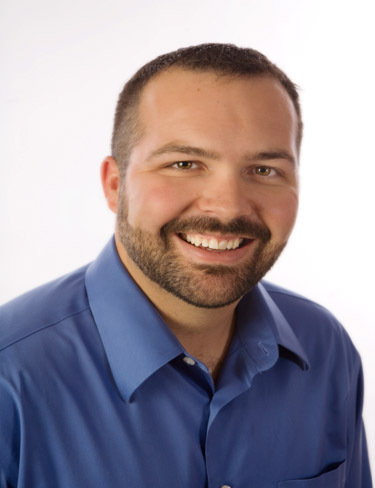 The first change amongst us and will be most noticeable at our January meeting is when our President-elect, Joey Burns, takes over my reins as President. Many of you know Joey well since he has been an active member in our chapter for several years. 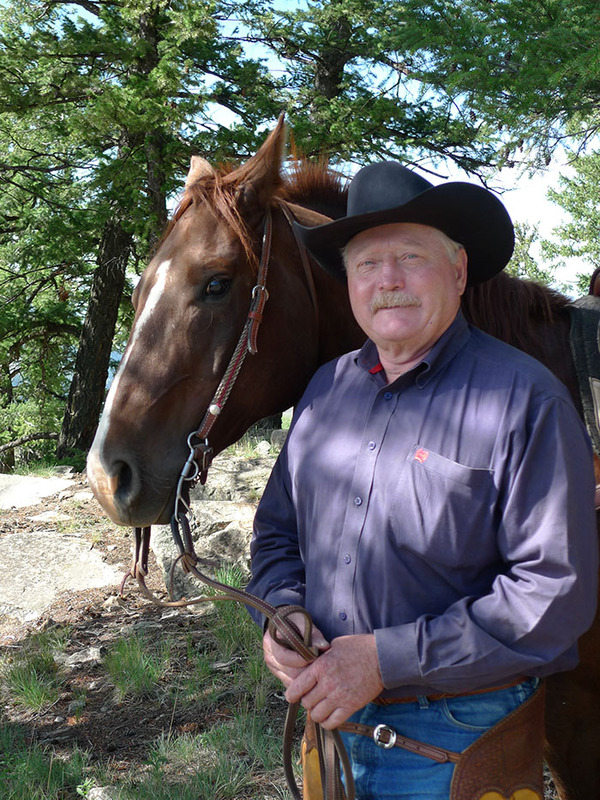 From teaching education classes, to hosting ranch tours, to pitching some of the prettiest listings in the Rocky Mountains at our Marketing Sessions, his involvement in our Chapter has certainly helped us to become one of the best Chapters in the country. Not only do we as a Chapter have an active board that has the Member's best interest in mind, but we also have membership that likes to make their voices heard and doesn't sit on the fence when it comes to input needed. Because of these two things I'm happy to report that we had a 50% response rate from our Chapter members to our survey that was sent out this past summer. When you compare our response rate to the 35% national rate of return for internal surveys conducted in the United States, it's easy to see why our Colorado RLI Chapter has been the past recipient of the National RLI Chapter of the Year Award. With a whopping 93.8% of our membership surveyed being in favor of rotating one of our Marketing Sessions, and the majority of those surveyed recommending it be the May meeting, our Board heard you and is implementing that change this Spring. 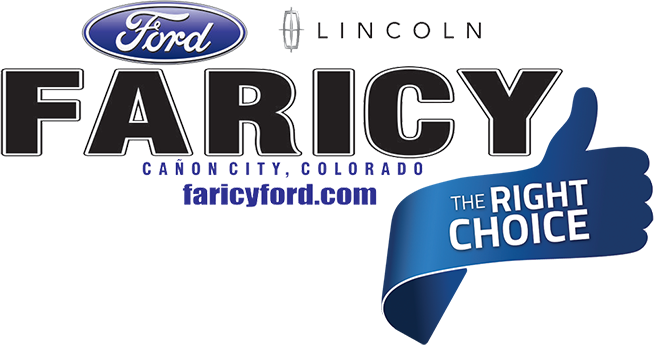 We will be in Pueblo May 3rd & 4th. With us being in a new part of the state, I encourage you to reach out to your broker friends and acquaintances that are located on the eastern part of Colorado, as well as New Mexico, Oklahoma, and Texas, and invite them to our May meeting. After all, 75.5% of our members surveyed said that the number one benefit of our Colorado RLI Chapter is the opportunity to network with other brokers and generate referrals. It's an honor to serve as the Colorado Chapter RLI President for this coming season. I look forward to making Colorado RLI stand out in excellence among the ranks. One area in particular that I wish to enhance is making ALC education more accessible to Western States and provide every resource we can. It would be my goal that elective classes include a focus on Western State needs. This is all for the sake of reaching our ultimate goal - to provide excellence and expertise in our service to our clientele. Be sure to register for the January Marketing and Education session. We're pleased to let you know that Aubrie Kobernus, CEO, REALTORS® Land Institute, will be visiting with us and sharing news from National as well as explaining the member benefits available to you. Colorado RLI Members: Below is a list of the RLI highlights at the recent meetings in Chicago. Attached is more information about the suggested RLI Chicago meetings to attend. I attended the 'swearing in' of Jimmy Settle as the 2018 NAR RLI President and one governmental affairs meeting about the tax issues that will most affect our members. The mood was not great at the Governmental Affairs meeting but no one is letting up on making sure their Senator or Congressman knows how damaging eliminating 1031 exchanges could be. There was some positive presentation about the role back of some of the federal government regulations per the Clean Water Act and Endanger Species Act. The next 30 to 45 days will tell us all where were going with this tax proposal. Plan cautiously. Colorado RLI Members: Simply put, the president and the Congressional Republicans are trying to pay for their 'tax cuts' on the backs of all real estate tax benefits including primary residential real estate, second home real estate, commercial and land 1031 exchanges, property tax and state income tax deductions, capital gains on primary homes sales generating $1.5 Trillion of debt. See copy of the Tax Reform Talking Points attached. In my 34+ years real estate practice I've never seen a tax proposal by any president or Congress that could so negatively impact our business. The hope that somehow this will 'trickle down' and benefit the overall economy is a huge gamble that the real estate industry is being asked to pay for. My suggest is to hope for the best and plan to be able to handle a significant disruption to our industry. 1. LIMIT THE TIME. The entire property presentation time limit is 4 minutes plus 1 minute to wrap up, so any video should be limited to a couple of minutes to best highlight the property features and allow time for moderator and group questions. 2. SEND THEM EARLY! All property packages and videos MUST be sent to Maggie ahead of time. One or two days before the meeting does not provide adequate time to test and organize the presentations. Try to submit all materials no less than a week before the meeting. 3. NO VIDEO LINKS. Due to limits on our meeting room internet connectivity and speed, we CANNOT ACCEPT VIDEO LINKS. Links to video on YouTube, Vimeo, your web page, or other hosting sites will not be presented. You must download or otherwise provide the actual raw video file, not just a link. Useful hint: if your video is accessible only through YouTube, Vimeo, Facebook, etc. just perform a Google search on downloading video from that site. There are usually a few options to download the files for free. 5. NAME THE FILE. Your video file and your PowerPoint file must have the same name (only the file extension will be different). This makes matching the files and organizing the presentations much easier. 6. OPTION: EMBED THE VIDEO IN YOUR POWERPOINT. Rather than juggling two files per presentation, try to embed the video right in your PowerPoint presentation file. You must embed the raw video itself, not a link to the video. The above formats should work OK as PowerPoint embedded video. There are plenty of YouTube instruction videos that provide instructions for embedding video from a file; here's one: https://www.youtube.com/watch?v=szKn4xNxI7Y. 7. NO SOUND. Many videos have music background or narration. This works great for individual viewing, but the chapter does not have a sound system and the conference centers often don't have the equipment or the ease of connection to accommodate proper video sound. Keep this in mind when including video in your property package - don't count on the video sound to play. 8. BIG FILES. Video files are large. Some may exceed email attachment limitations for sending files ahead of time. In that case, use a file storage and downloading service like Drop Box or iCloud to submit the files to Maggie (do a Google search on sending large files if you need assistance). If you absolutely must bring the presentation to the meeting on a flash drive, be sure the files are complete and properly named for ease of transfer and organization, although prior submission is much preferred. If everyone will strive to comply with these guidelines, video presentations in your property packages will work smoothly and efficiently. Thank you! If you haven't already registered and reserved your hotel for January 18-19 in Denver, do so ASAP. The hotel block is limited and rooms are hard to find during the stock show. Remember to email your property presentation to Maggie ahead of time. The marketing package form and PowerPoint template are on our website coloradorli.com. If you want to pitch your property with video, submit to Maggie via a video file. YouTube or internet links will not work for playing your videos. The video will be muted as we will still follow the moderated format. Remember the presentation is for RLI Brokers, not buyers and should contain information a selling broker needs to know - acreage, water information, mineral rights, relative easements or restrictions, game unit, income & expenses, proximity to government land, etc. Also prepare a list of your buyers to bring with you for the Buyers Board. It doesn't matter if you're looking for 35 acres or a trophy ranch - pitch it at the buyer session. Presenting your listed properties and your buyers to our group and following up after the meeting will result in commission earned. The 2017 Open Fences RLI Land Tour was a huge success! Joey Burns did an excellent job showing us his listings and the Montrose area in general. Mark down June 7-8th for 2018's land tour and plan on attending. If you have inventory in an area we haven't recently attended, think about a submission for the 2018 Land Tour. Submissions are due May 1st, 2018. We recently increased the cost of our meetings with the hope this would cover the shortfall our chapter is continuing to experience each year. However, this increase was only able to cover about half of this shortfall. The board has listened to you (our members) by taking your responses from the recent chapter survey that many of you participated in. Over 65 percent of those who responded selected implementing reasonable annual dues for the Colorado chapter to raise adequate funding. Also from that survey 63 percent stated that the acceptable price range would be between 50 and 100 dollars. Several reasons for our chapter's shortfall include; serving continental breakfasts and on-site lunches. From the survey the consensus was to keep both in place as this is an excellent time to network with each other. The board has looked at all avenues to keep our chapter financially sound and beneficial for all members. To achieve this, we must be able to cover our annual costs and keep our reserves intact. Therefore, our chapter will be implementing annual dues in the amount of $75 to each member starting January 2018. We appreciate all your input and believe these fees will be sufficient to cover our operating expenses. The deadline to make your hotel room reservation for the January meeting is fast approaching! Book your hotel reservation at the Double Tree Hotel, 3203­ Quebec St., Denver­, $119.00 per night by December 18th! Half the rooms in the Chapter room block are already reserved, so don't delay making your reservation!! Our Friday, January 19th education session will be a presentation by Nobu Hata, Director of Member Engagement with the National Association of REALTORS®. The presentation will cover Data Security: Protecting Clients, Listings and Your Reputation Online. Continuing education credit pending and information will be updated on the website. Remember to update all your marketing with the national logo rolled out earlier this year. This includes business cards, websites, e-mail addresses, marketing pieces, listing presentations, social media, etc. Active RLI members should use the RLI logo above and not the Chapter logo in your marketing. Only those with the Accredited Land Consultant designation should use the ALC logo. Protect the integrity of the brand and organization as a whole, by referring to the organization as REALTORS® Land Institute or RLI depending on your audience and using the correct logo. You can learn more about the proper usage, approved backgrounds, color palette, font type and more in the Visual Standards Guidelines. 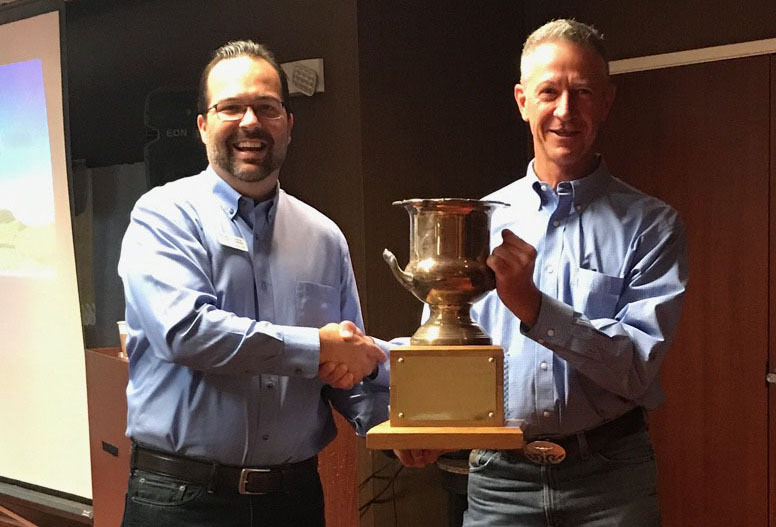 CONGRATULATIONS to John Stratman, named 2017 Land REALTORS of the Year at the Chapter's September meeting in Grand Junction. CONGRATULATIONS to Jim Vidamour and James Bineau, for receiving their ALC designation recently! 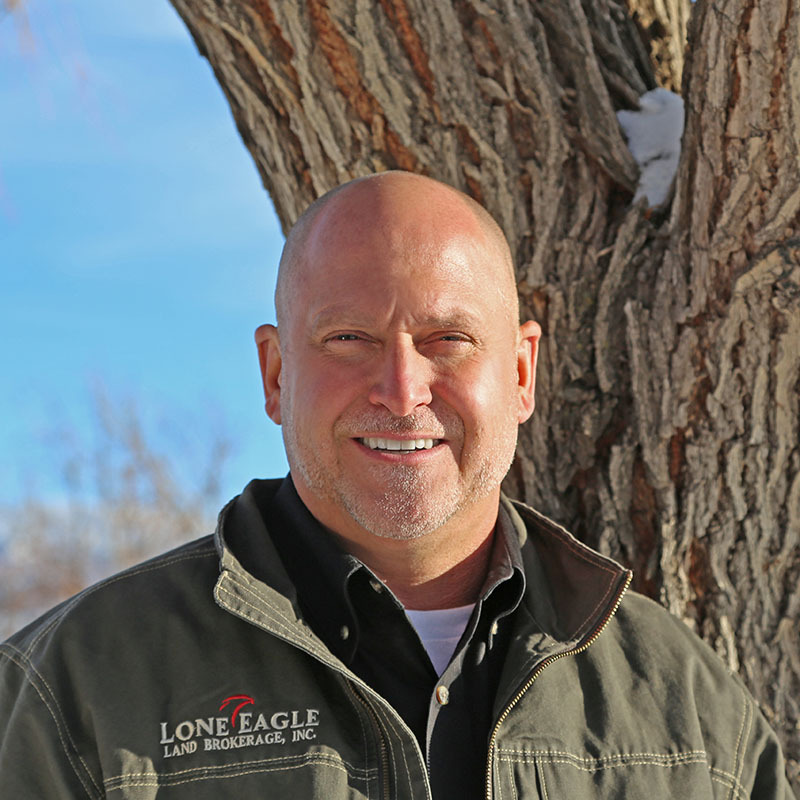 Lone Eagle Land Brokerage, Inc.